The history of the Roman Empire is perhaps unprecedented in its prosperity. It is considered by most historians and scholars to have been the “perfect empire,” with a stable economy, a strong government, and, of course, a good military, considered to be the first professional military force (and the deadliest) of its time. Rome’s rich history is dotted with great generals, so from good to great to genius – here are the top 7 Roman generals. 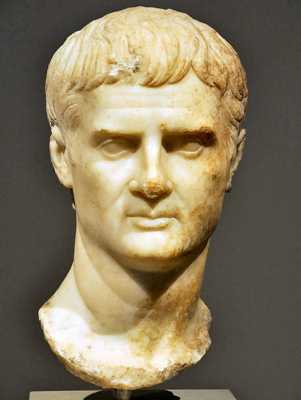 Living from 63-12 BC, Agrippa lived during a time of great Roman generals such as Julius Caesar and Pompey, and served as the highest ranking and most respected military leader under Rome’s greatest emperor: Augustus Caesar. Agrippa was one of Augustus’s (then called Octavian) best friends throughout his early life, and rose to power with Octavian as he was Julius Caesar’s adopted nephew, and was appointed governor of Gaul in 39 or 38 BC. Agrippa was hailed throughout Rome for quelling a Gallic rebellion, and became famous for refusing to have a triumph help for him. Octavian then seized control of the Roman Empire when Agrippa won his most famous victory, the naval clash between the Egyptian forces of Marc Antony and Cleopatra VII, the Battle of Actium in 31 BC. Agrippa participated in minor campaigns in 34 and 33 BC, before leading massive projects to beautify Rome, ordering for the large aqueduct Aqua Marcia to be renovated, and cleaned out the sewers and plumbing systems. This later prompted Augustus to state that he had “found a city of brick and left it a city of marble.” In his later years Agrippa charted geography, carried out surveys of the empire’s citizens, and helped to secure the new empire government system and added his own ideas to how it should be maintained. I will not write his name twice so I will simply refer to him as Lucius. Living from 229-160 BC, Lucius was the two-time consul of Rome responsible for the fall of the once-great kingdom of Macedonia. Ever since the death of Alexander the Great in 323 BC, Macedon had been torn apart and divided by civil wars due to the fact that Alexander did not provide any heirs. Tensions were strained between Rome and Macedonia after the clashes Rome fought previously with King Phillip the V. Thus, in 171 BC, in what is known as the Third Macedonian War, Rome and Macedon were at each other’s throats after King Perseus defeated a Roman army at the Battle of Callicinus. Later that same year, Lucius dealt the final blow to Macedon at the decisive battle of Pynda, a clash of arms which famously displayed legions flexibility over the tightly packed phalanx. 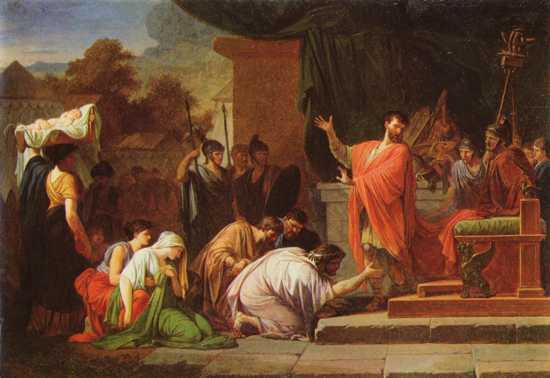 Lucius ordered the execution of 500 Macedonian soldiers and exiled many more, before plundering huge amounts of money, the majority of which Plutarch states he selfishly kept to himself. To satisfy both his hunger and his men, Lucius authorized the brutal sacking of 70 towns in the kingdom of Epirus, enslaving an estimated 150,000 people. His return to Rome was celebrated with huge triumphs, in which the senate awarded him the title Macedonicus. Constantine the Great (or St. Constantine) is famously remembered for being the first Roman emperor to convert to Christianity, which is described as a dramatic ordeal in which he viewed the forming of a cross while staring into the sun. He relocated the Roman capital from the western city of Rome to the eastern city of Constantinople (Istanbul), a city that was brilliantly centered in between the Mediterranean and Black Sea, and thus thrived as a huge trading center for people from all over the world. Thus, he is considered the founder of the great Eastern Roman Empire (also called the Byzantine Empire), which would live on another 1,000 years following the collapse of the Western Roman Empire. 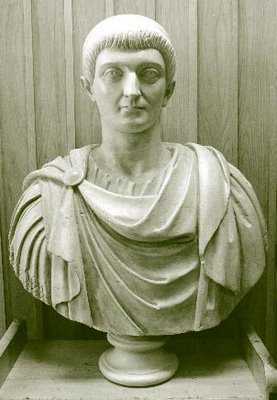 He established his rule by defeated Maxentius and Licinius during civil wars. During his reign he led successful campaigns against the Franks, Alamanni, Visigoths, and the Sarmatians. He is considered one of the best emperors (and first) of the Byzantine Empire and launched it into great success for the many emperors that would follow him. 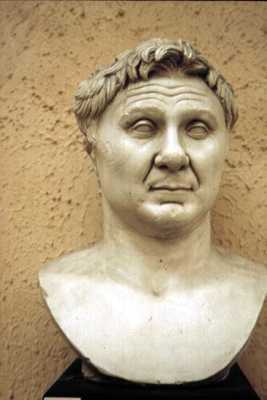 Commonly referred to as simply Pompey, he lived from 106-48 BC, experiencing much war and conquest with his life. In 83 BC, Lucius Cornelius Sulla returned to Rome from successful campaigns against King Mithridates the Great of Pontus, battling the powerful Marian family for control of Italy in a civil war. Soon, with the help of Pompey and his tactical maneuvers with three legions, Sulla took full control of Rome and declared himself dictator for life. Sulla was impressed with Pompey’s performance, and over the course of decades, Pompey fought successful campaigns – the first of which in Sicily and Africa through 82-81 BC. He secured Sicily and established a large grain supply for Rome, before defeating King Hiarbas and conquering Numidia. Pompey was declared Imperator by his loyal soldiers and given the title Pompey the Great by Sulla, before receiving lavish triumphs in Rome. Sulla died in 78 BC, and Pompey was sent to Hispania, in which he campaigned for five years (76-71 BC) and found it difficult to deliver a crushing blow to the resilient King Sertorious, who successfully deployed effective guerrilla tactics against Pompey’s forces on more than one occasion. 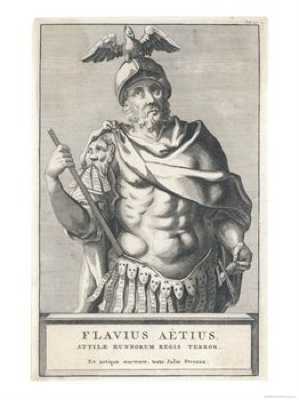 Finally, after Sertorious’ assassination by one of his own officers, Pompey returned to Rome, where he captured 5,000 gladiator rebels led by Spartacus, which infuriated the very rich Marcus Licinius Crassus, who claimed that the credit should be directed at him as the rightful one who ended the rebellion. In 71 BC he was rewarded another massive triumph in Rome, and was easily elected Consul in 70 BC along with Crassus. In 68 BC Pompey gained more popularity by commanding the successful eradication of pirates in the Mediterranean Sea (however some, notably Cicero, would later criticize this). In 61 BC, Pompey joined the First Triumvirate along with Julius Caesar and Crassus (mentioned earlier, the two had made up by then). Throughout the 50s (BC time, not 1950s), Pompey led even more successful campaigns against Pontus and Judea (Israel). However, trouble was brewing in the Triumvirate after Crassus was killed at the disastrous Battle of Carrhae, and Pompey was growing increasingly jealous of the huge military success Caesar was experiencing. Inevitably, Caesar and Pompey went to Civil War in 49 BC, and Caesar was determined the victor after the decisive Battle of Pharsalus, in which Caesar’s brilliant tactics and superior veterans defeated Pompey’s larger numbers. Pompey fled to Egypt, where he was assassinated on the order of King Ptolemy XIII, in an attempt to please Caesar (this attempt completely backfired, by the way). Scipio lived from 236-186 BC and is considered one of the greatest generals in all of history. Upon his joining of the Roman army at an early age during the Second Punic War against Carthage and led by the brilliant Hannibal Barca, Scipio vowed that he would participate in the struggle until the end. He served with distinction and notably survived the Battles of Ticinus, Trebia, and Cannae (Cannae being labeled by some historians as the worst military defeat in Roman history). Even more incredible, Scipio supposedly saved his father’s life (also named Publius Scipio) when he was 18 “by charging the encircling force with reckless daring” – from the historian Polybius. Scipio’s loyalty to achieving Roman victory was so strong that, during a conference in which Rome’s leaders had gathered to discuss the possibility of surrender, Scipio ran into the room, threatening the politicians at sword point to never surrender. In 211 BC, both Scipio’s father and uncle were killed in battle by Hasdrubal (Hannibal’s brother) and Scipio became the new head general. Over the course of the next few years, Scipio captured Carthago Nova (New Carthage) in Hispania, which became his base of operations. Scipio gained huge respect for his humble conduct towards prisoners, and on one occasion, after being offered a beautiful woman as a prize of war, he returned her to her fiancé, a chieftain of the Celtiberian tribe named Allucius. Allucius was then so thankful that he reinforced Scipio’s forces with warriors from his tribe. Scipio then fought the Battle of Baecula against the forces of Hasdrubal, in which he outflanked and surrounded the Carthaginian army with his cavalry, while evading the armies of Gisgo and Mago (also two of Hannibal’s trusted generals). This victory, however, has been criticized because of Scipio’s decision not to pursue Hasdrubal’s fleeing army. There are many theories, but I will stick with the one in which he feared getting caught by the separate armies of Mago and Gisgo. In 205 BC Scipio was given the title of Consul and returned to Africa to resume his campaign against the Carthaginians, in which Scipio fought his most legendary and famous battle: Zama. Arriving at the battlefield, Hannibal (yes, the great Carthaginian general himself was present at Zama) had an estimated 58,000 infantry and 6,000 cavalry, as well as 80 war elephants Scipio had 34,000 infantry and about 8,700 cavalry. The battle took place on October 19, 202 BC, and began when Hannibal ordered his elephants forward to punch holes in the Roman lines. Scipio, however, had arranged his men in vertical columns with pathways in between. Many elephants were simply goaded along through the openings, while others were forced back into the Carthaginian soldiers due to blaring noise from Roman trumpeters, causing damage and confusion to Hannibal’s left flank. Scipio’s cavalry then successfully engaged and routed the elite Numidian cavalry deployed by Hannibal, and chased them down. The infantry then proceeded to engage each other, Scipio having his line drawn out long to match the numerical superiority the Carthaginians had. The resulting clash was fierce, brutal, and bloody, and after a long standstill Hannibal’s army was finally vanquished when the Roman cavalry returned to make a rear charge. 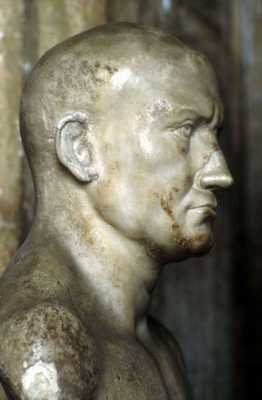 Modern historians call Zama the “Roman Cannae.” The humble Scipio did not sack Carthage like the Senate wanted him to, instead imposing moderate regulations and taxes upon them, and Scipio was welcomed back to Rome hugely famous, rewarded with a triumph and given the title Africanus and was even asked to become dictator or king (which he refused). Scipio Africanus had the rare military distinction of never losing a battle in his career. 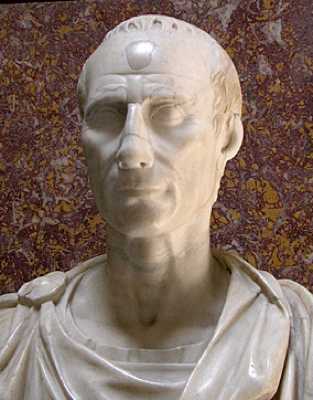 Julius Caesar (I will call him Caesar), is probably the most famous Roman to have ever lived. He was a brilliant politician, writer, statesman, and of course, an absolute genius military general, and the most legendary of any Roman. Caesar was born in 100 BC (there is debate that it was 102 or 101 BC) to a noble family and joined the army in 85 BC following the sudden death of his father, receiving the Civic Crown for his service in an important siege (the Civic Crown is a laurel leaf “hat” that Caesar would wear throughout his life to cover his baldness). Caesar was almost killed in his 20s when Lucius Cornelius Sulla became dictator of Rome in 82 BC, he quickly began eliminating his enemies by either execution or exile, and Caesar was opposed to his policy, and thus was forced to flee Rome, catching severe malaria that very nearly killed him. Caesar returned to Rome after Sulla’s death in 78 BC, quickly becoming extremely popular by holding elaborate gladiator games for the public (in one instance, the Senate limited the amount of gladiators used in one of his shows because he had an amount large enough to prompt the Senate fear a secret rebellion). Caesar led successful campaigns in Spain in 69 BC, and famously discovered a statue of Alexander the Great, and felt ashamed realizing that he was the same age Alexander was when he had conquered half the world. Caesar was a master orator and hosted huge gladiator shows for the public, while giving bribes to voters. This accumulated him massive debt but, in the end, caused him to reach the position of pontifex maximus (high priest) and consul in 59 BC. Caesar had also formed the First Triumvirate with Marcus Crassus, who was perhaps the wealthiest person in Rome (if not the world) during that time and freed Caesar of his huge debts. Pompey, the third member, was chosen for his huge military success (at the time, he was more popular than Caesar) and the deal was sealed following Pompey’s marriage to Caesar’s daughter Julia. Caesar launched his conquest of Gaul in 58 BC, and would remain there until 51 BC. This campaign is perhaps the most famous and brilliant of any Roman general, and is vividly recorded through Caesar’s own seven volume writings, in which he relates himself in the third-person and often relates himself as a genius, and probably has some figures exaggerated. Even so, his writings generally match that of Plutarch and other historians. He faced a formidable opponent, Vercingetorix, who understood that the science to defeating the Romans was not to face them on open ground in a fair fight, but rather, use guerrilla tactics and quick ambushes, and even deployed the interesting tactic known as “scorched earth,” in which everything, from landscape, to food, and even your own villages, is torched, the goal being that Caesar would not be able to supply his army with the necessary resources for a campaign. In 55 BC, in a display of the brilliant architectural abilities of the Romans, Caesar ordered his 40,000 men to build a bridge that would allow them to cross the 30 foot Rhine River to engage the Germanic forces on the other side. The bridge is estimated to have been 460-1,300 feet long and 23-30 feet wide, and only took ten days to complete. Then, in 52 BC, perhaps Caesar’s greatest battle took place at the Siege of Alesia, in which Caesar used brilliant siege tactics, which included walling the already walled city, before then walling the wall to keep out reinforcements (yes, Caesar was GENIUS!). Over the course of the several weeks following, Vercingetorix and the 180,000 men, women, and children trapped in Alesia were starving to death, and the Gallic general managed to get word to other Gallic tribes to aid him, receiving a response of 250,000 soldiers led by Commodus. Despite being outnumbered 4:1, Caesar’s wall only allowed for a narrow opening, and thus Caesar still managed to ward off the counterattack. Finally, Vercingetorix surrendered, and Caesar’s 7 year campaign came to an end. Upon returning to Rome, Caesar was hugely welcomed with massive triumphs, and Pompey paled in comparison. Soon, Caesar left for the British Isles to campaign, and he and the jealous Pompey fought their own separate wars until Crassus (who was jealous of both of them), went off to Parthia with an army that was defeated at Carrhae, considered one of the worst losses in Roman history. Soon (you know what, you know the story…) and Pompey was killed. Caesar then killed our old friend Ptolemy XIII and married Cleopatra VII, and the couple gave birth to a son, Caesarian. Caesar then invaded Rome and took control of it by force, becoming dictator for life in 45 BC. Caesar had many plans for the future, including an invasion of Parthia the following months (in revenge for Crassus). He changed the Roman Republic into the Roman Empire and established the second chapter of Roman history, and the long line of emperors that would come with it. However, on March 15, 44 BC, Caesar was assassinated by 60 senators led by Marcus Brutus and Gaius Cassius by being repeatedly stabbed in the Senate chambers, with sources claiming he was stabbed up to 23 times.